Can y’all believe this is my last outfit post from London?!?! I’m so sad. I loved having such charming backdrops to shoot in front of. 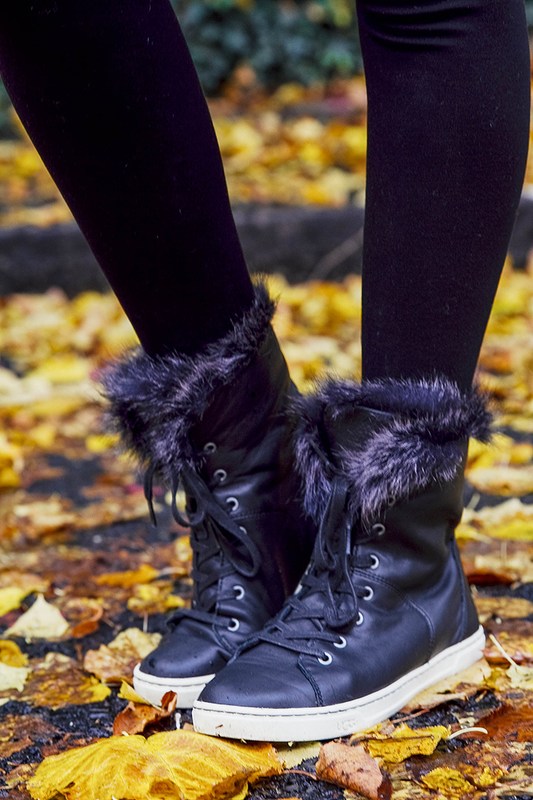 I also loved being able to wear wintery items like these fur-lined sneakers so early on in the season. Talk about Christmas coming early! 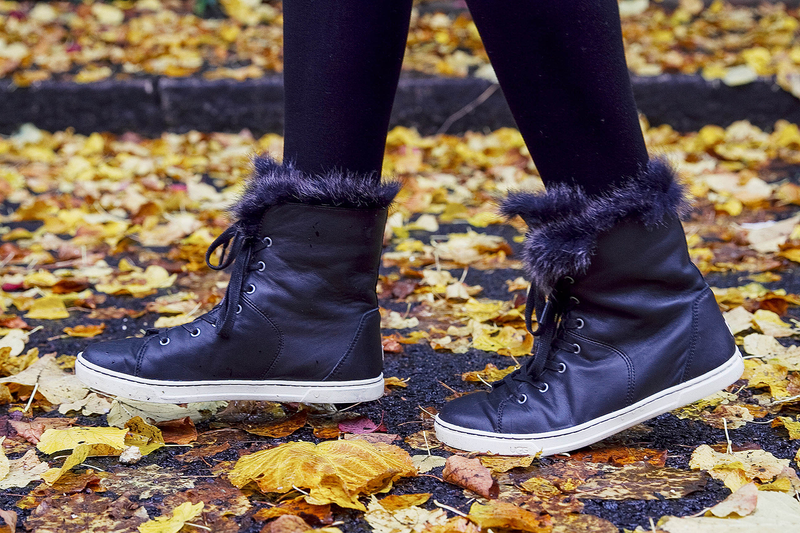 When I ordered these boots (first seen here), I also ordered this pair of sneakers. I wasn’t expecting to love them as much as I do! They are so comfortable it’s ridiculous. The leather finish elevates the sneaker style a bit, don’t you think? They’re a little edgier than I normally wear, but it’s always fun to mix things up a bit. Speaking of London, stay tuned for my comprehensive London restaurant guide, coming next weekend! But first… my Vienna city guide tomorrow! Check out more of my recent city guides and travel posts here. I love these sneakers! 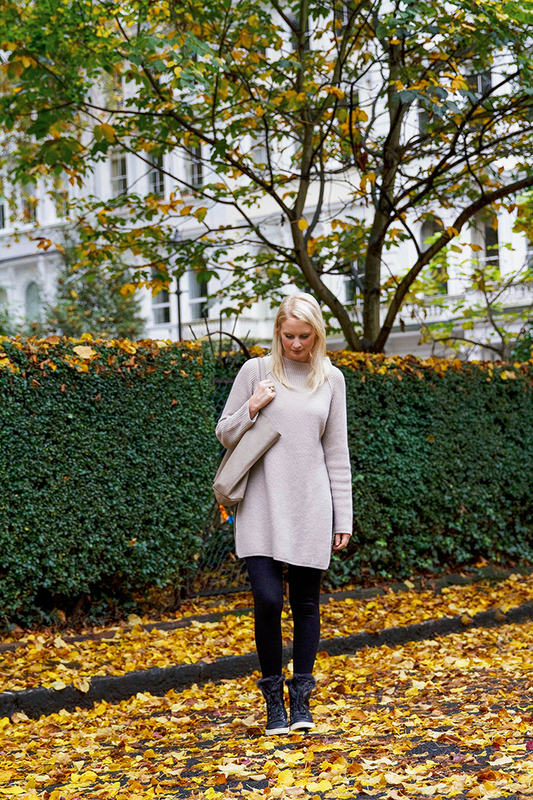 but this sweater tunic is just perfect! I can’t wait to read the London guide! I LOVE those fur lined sneakers! How cute! Those sneakers!! Too good. I have a hightop pair that I wear on the weekends sometimes, and they always make me so happy. Loved all your London pictures. Such a perfect casual looking for stomping around the city. Hope that the adjustment back to Texas is going well!